(Newser) – Another big setback for Uber: The Justice Department is in the early stages of a criminal investigation of the company over the "Greyball" program it used to avoid regulators as it expanded its service across America, sources tell Reuters and the Wall Street Journal. 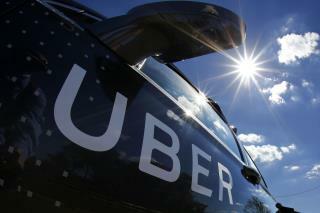 Users "greyballed" by the software were shown a fake version of the Uber app and found themselves unable to get rides. Uber used it in cities such as Portland, Ore., to avoid sting operations while the service was banned there. Uber, which stopped using Greyball after a New York Times report exposed it, claims the software was mostly used to test new features and to protect drivers. This is the behavior of thugs (government) when they are outsmarted (Uber).